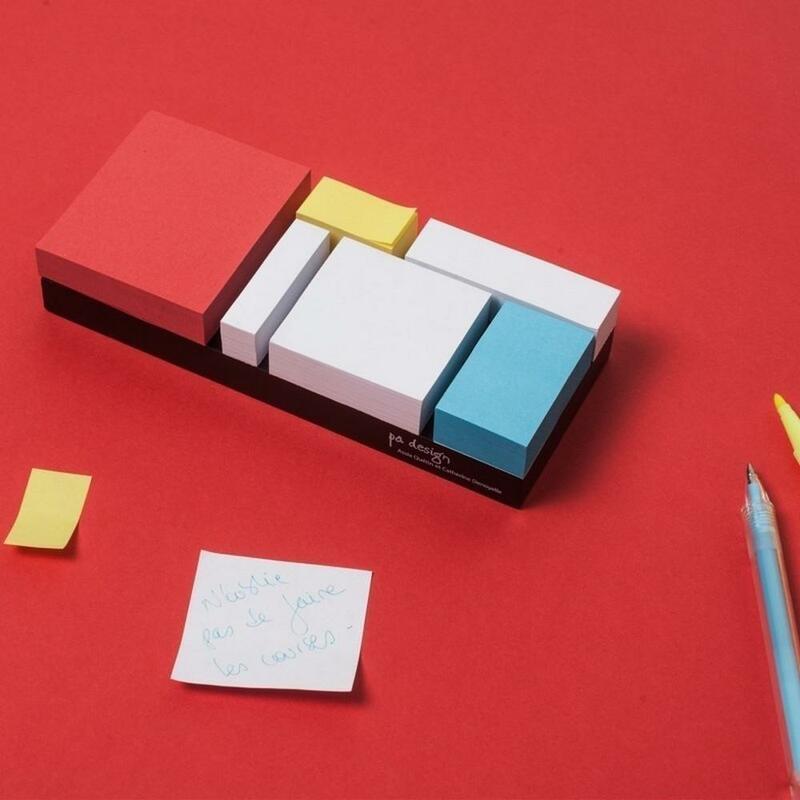 Monde Riant is a sticky note block by pa design. The block is inspired by Piet Mondrian’s work. More specifically, it tries to approach Mondrian’s artistic style in a three dimensional structure. You can place Monde Riant on your desk while you can choose from the various and different sizes of papers to write your note. 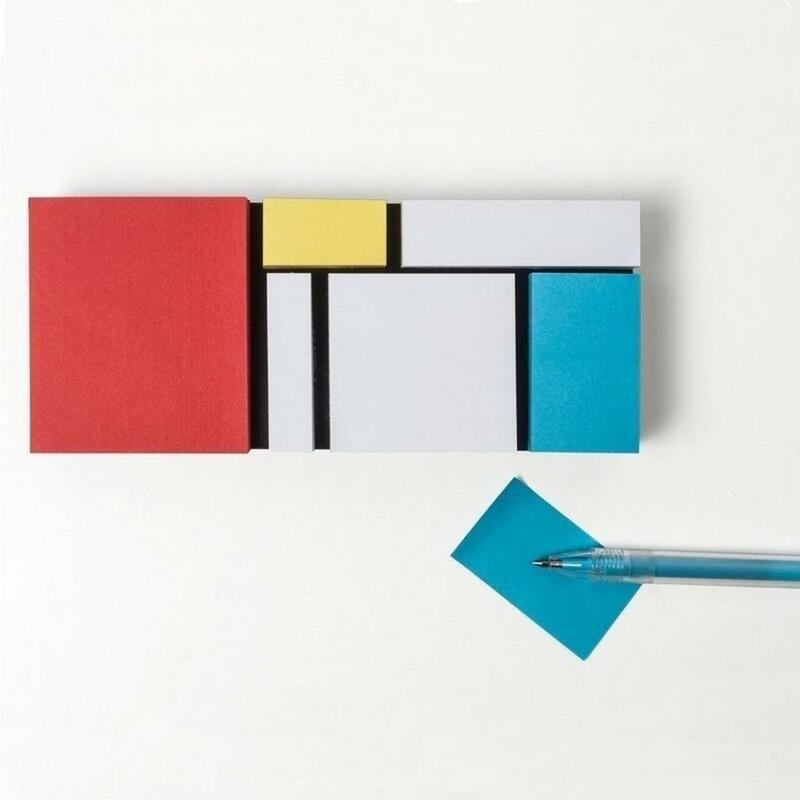 It is a very useful and practical sticky note block which is inspired by the famous artist and can be easily placed on your desk either at home or at work. 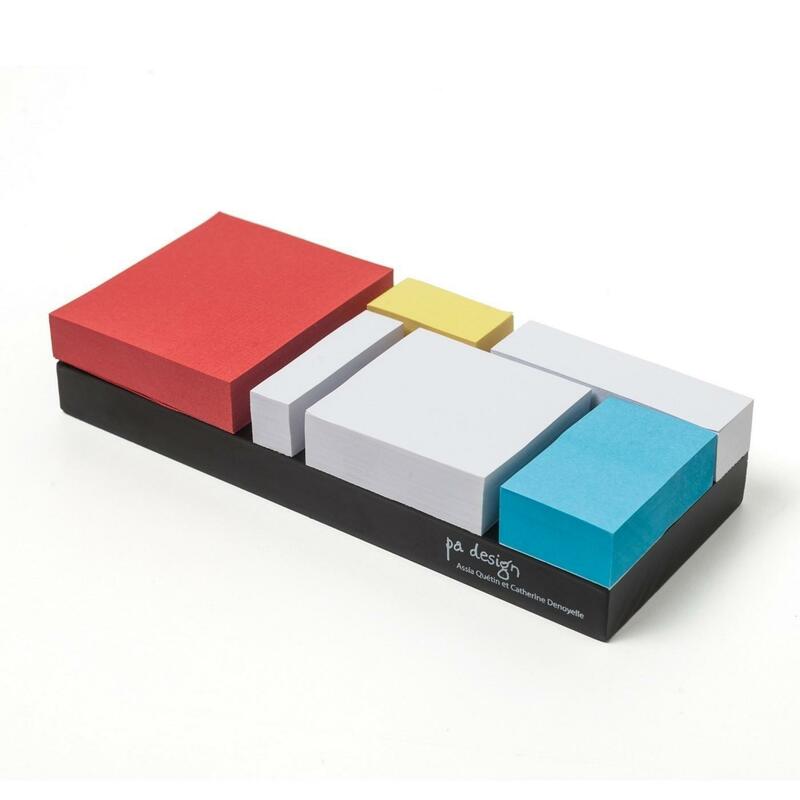 The colors of the sticky notes are also inspired by the original palette found in the artist’s work. Thus, you will find papers of white, yellow, blue and red color. 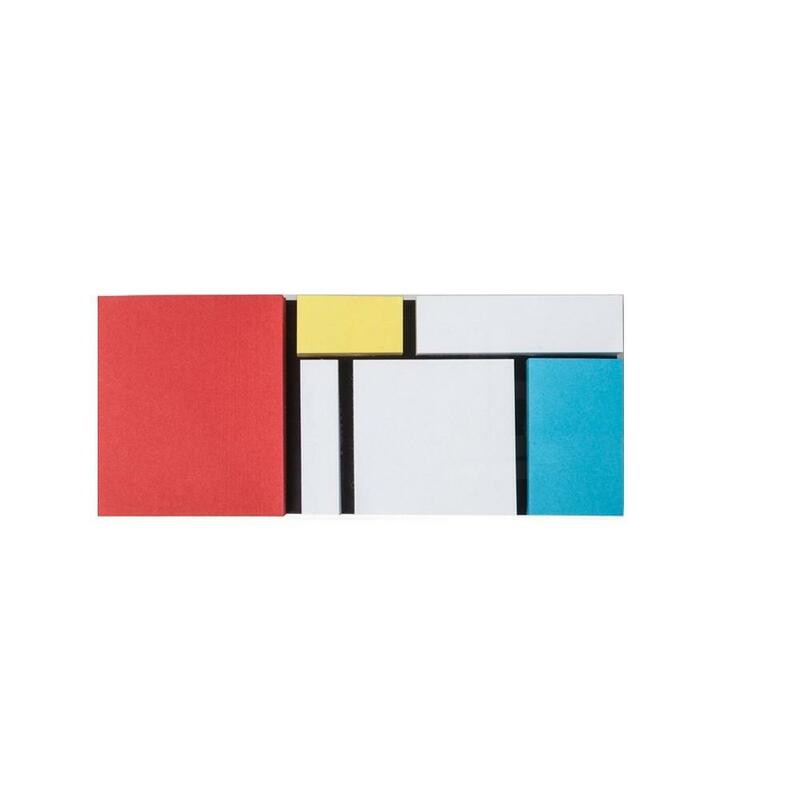 Piet Modrian was a Dutch painter who contributed significantly to the De Stijl art movement. In 1918 he started working in the post-war Parisian atmosphere where he developed his characteristic abstract painting style which established his artistic career. 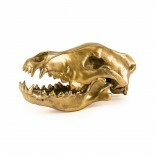 This style is apparent to the Monde Riant. Color of the base: Black. 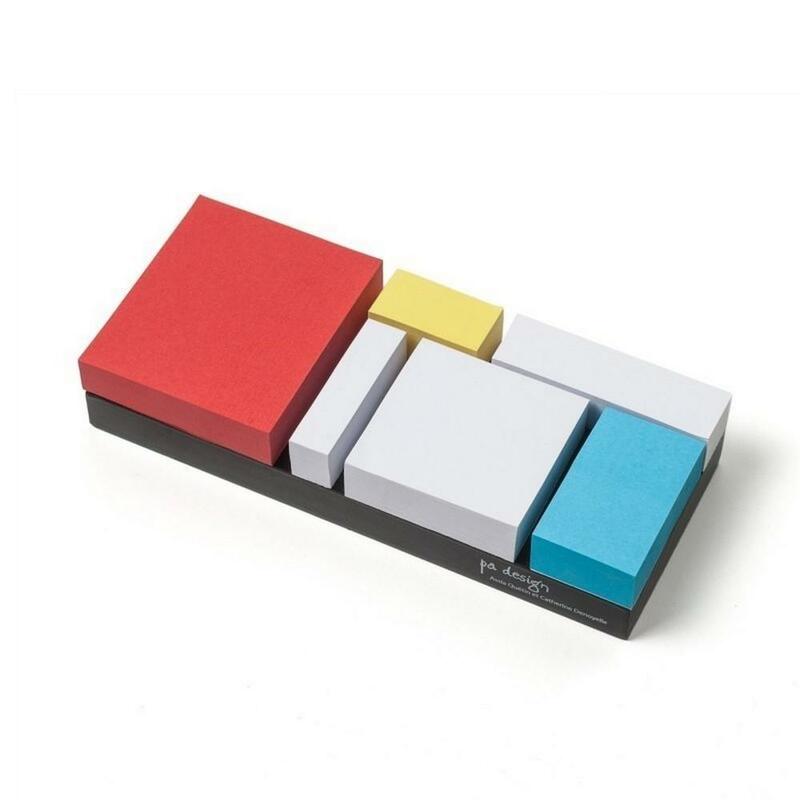 Color of sticky notes: White, red, blue, yellow. Dimensions: Height 16.8 cm, Width 7 cm, Depth 3 cm.